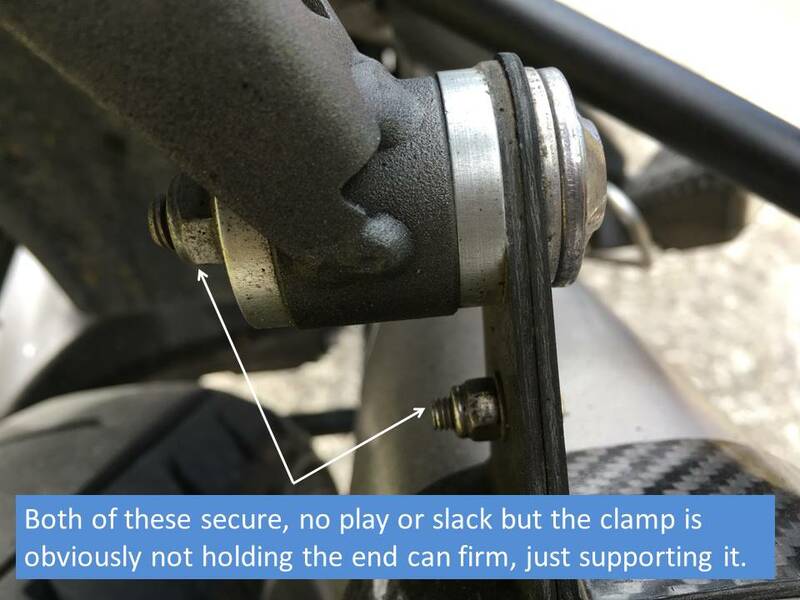 Just a note for Gen 3 owners to check the exhaust bolt clamp just forward of the centre stand. 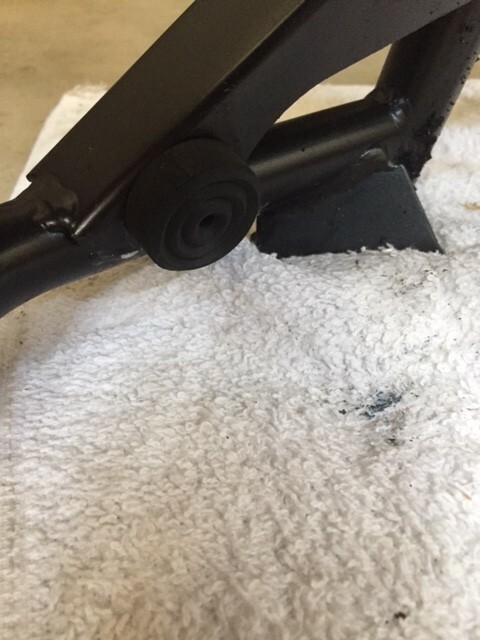 While out for a spin today (first pic) I noticed my centre-stand was not sitting on the rubber stop at all on the right hand side. Looking at the opposite side the stand has been wearing away the shaft drive housing as a result. The whole rear section exhaust and silencer had worked itself back a centimetre. The rear end can mount bolts were tight but it only seems to support the end can rather than actually clamp it (very poor). That leaves the whole rear end exhaust positioning reliant on the join with the front section of exhaust, one clamp. The clamp was untouched and my exhaust has never been removed. 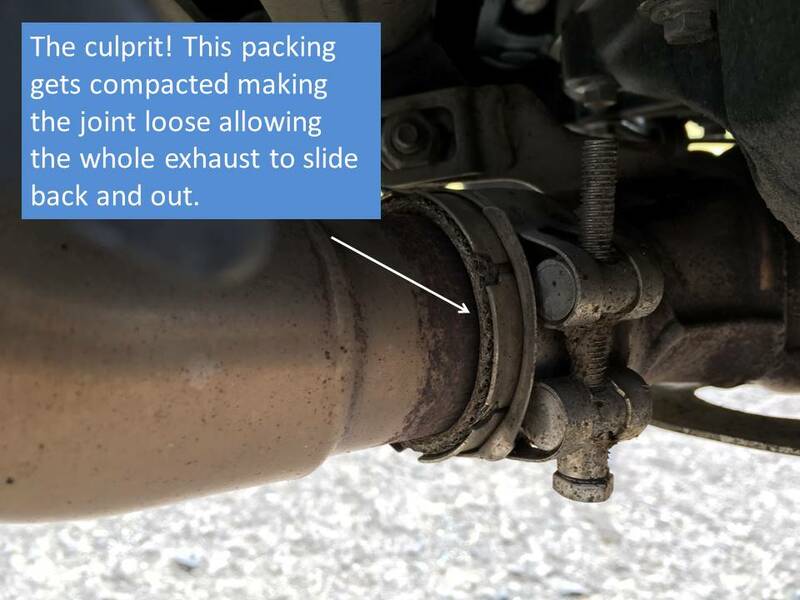 I am pretty sure the packing is being compacted as the join is taking so much of the holding force, loosening the connection and causing the issue. Check out that join on yours today and nip it up if necessary. I don't know if this shaft drive housing damage is just from a 200km jaunt today or something more longer term, I have only just noticed it. 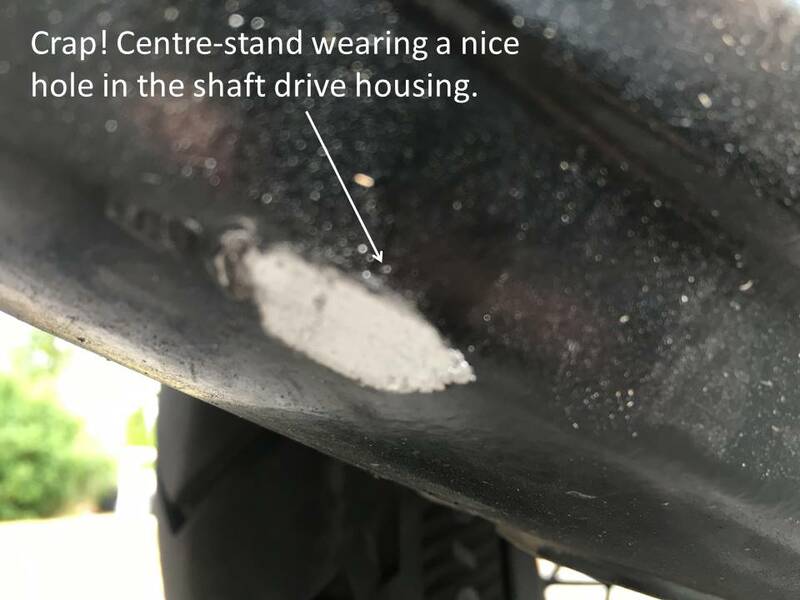 Re: Wearing a hole in my driveshaft! - Gen 3 exhaust, check yours now. Thank you. Checking very soon. I don't think I quite understand. I get the exhaust part moving back but how did that throw off the center stand or at they two different issues and one caused you to notice the other? All one issue. The exhaust includes the bracket with rubber stop for the centre stand. 2nd pic. 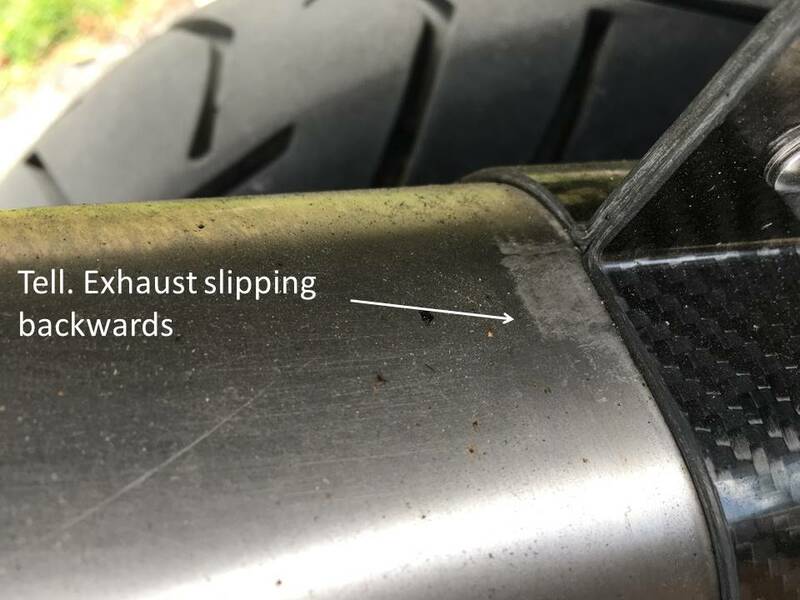 When the exhaust slides back the whole rear section exhaust becomes loose which allows it to swivel outwards pulling the rubber stop out of the way. 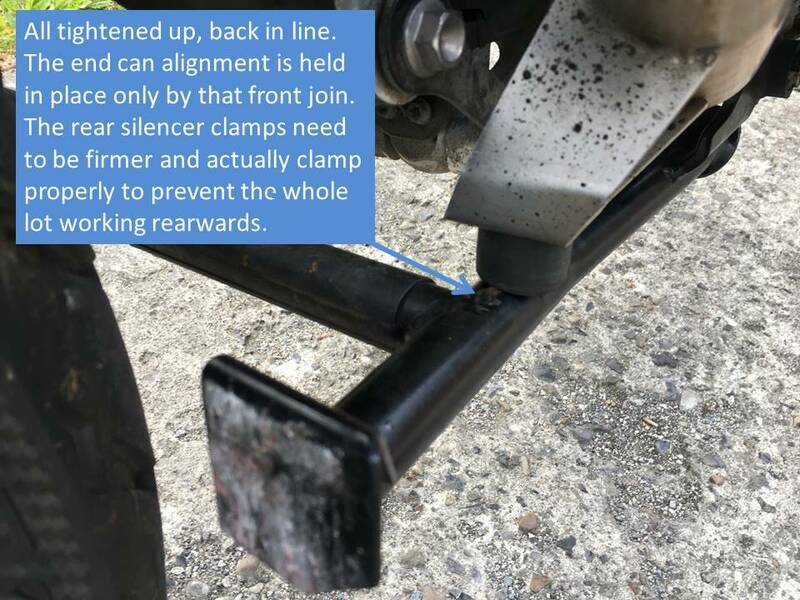 Either another clamp point is required or the rear silencer clamp needs to solidly lock it in place rather than just support it. That would help take the strain off the joint that failed. I have a gen 1 but has noticed that my main stand is hitting the shaft drive. I will have a look to see if my gen 1 is doing the same as described. My Gen3 did the exact same thing ~8 weeks ago. And here I thought mine was an isolated incident. 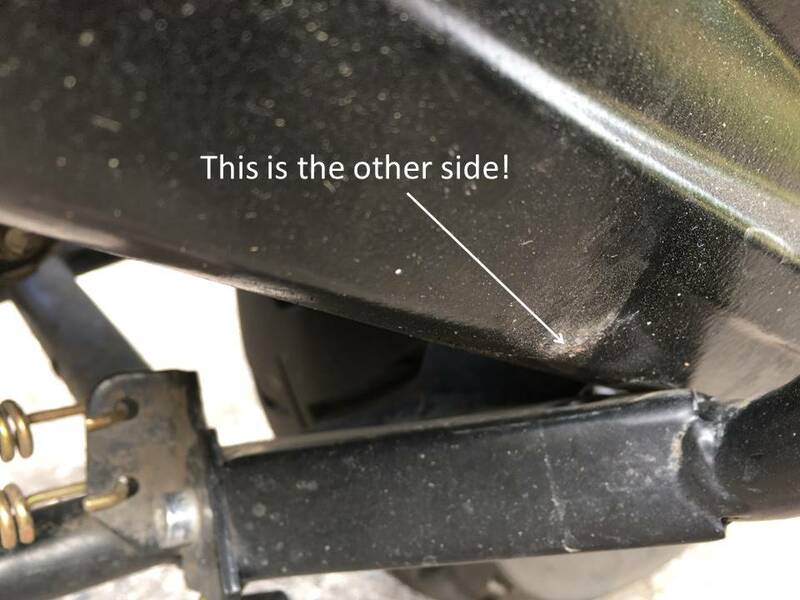 There is another rubber bumper on the left side of the center stand, which should bump against the drive shaft--mine had fallen off and I had to order a new one. Yours appears to be gone also. It's only about half as tall as the one on the right/exhaust side. 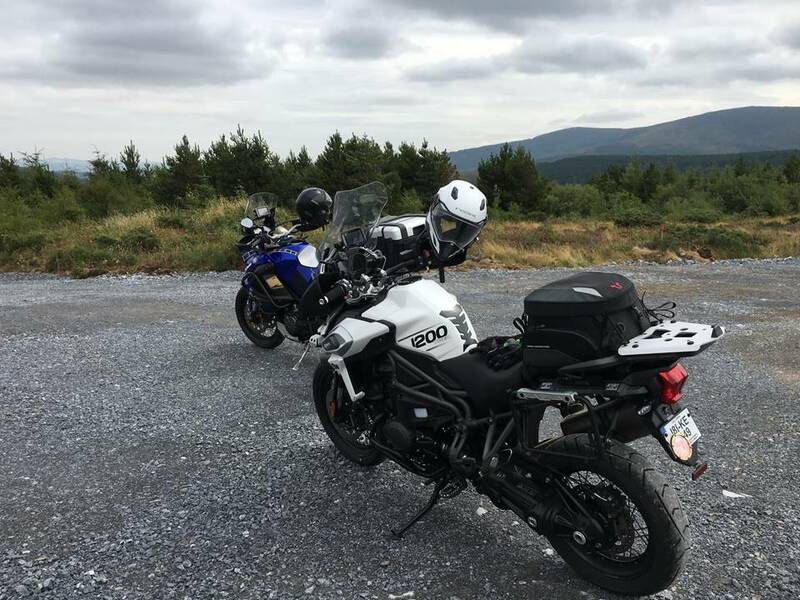 Here's another on my Tiger 1200. Exhaust worked loose at the clamp from the headers before first service. It was scratched where the silencer stay/bracket had started to rub. Exhaust replaced by Triumph. 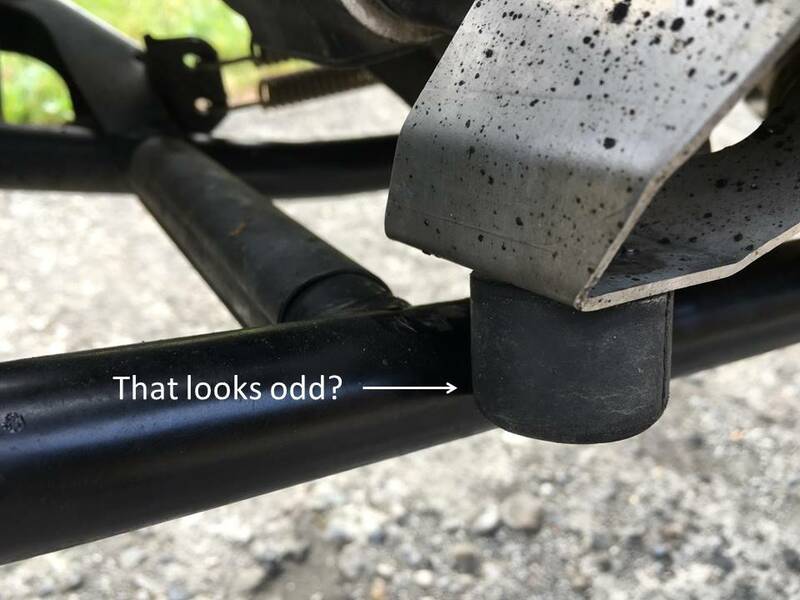 The rubber bump stop on the center stand had gone missing and marked the driveshaft. This has been replaced and the driveshaft painted where it was damaged. You’re right lads, it’s gone too! I didn’t know there was one there, cheers.